Build whole body MTB strength and power. More confidence on the bike through a stronger riding position. Move better with less injuries, aches and niggles. Plus you still get to ride with your mates and have fun! 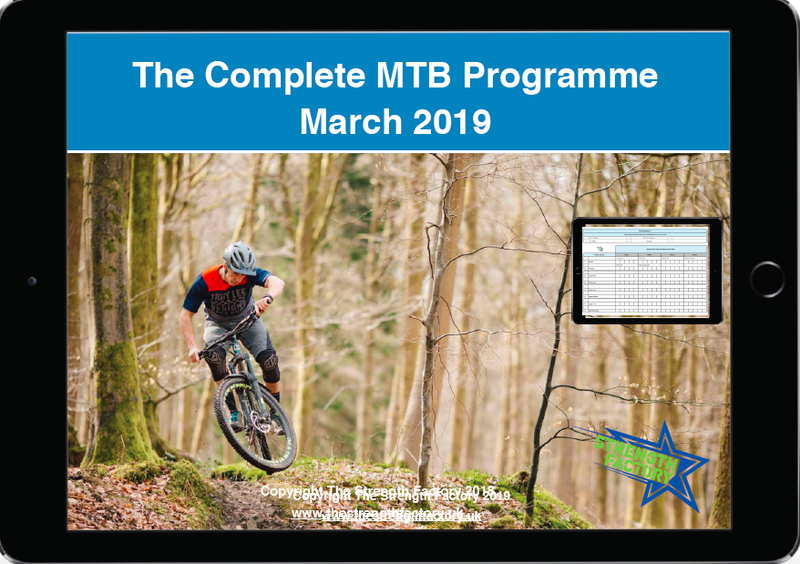 The Complete MTB Programme is designed to be flexible and achievable for normal people balancing life and training whilst improving their MTB fitness. Structured interval and sprint training. Top tips and extra challenges. Full video explanations of all exercises. All you need is access to a gym with barbells, dumbbells and some space for bodyweight training including a pull-up bar. Some months there may also be training using suspension trainers, kettlebells and cardio kit like the rowing machine, but all of these are optional and will have alternatives in case you don’t have access. All of this costs just £32 per month and is covered by our money back guarantee, so if you are not totally satisfied with your programme then you get your money back. It’s simple and risk-free, just look at some of the reviews! First time doing a full gym program in addition to my on the bike training and although I'm only two months in I couldn't be happier. I feel strong on the bike and have been able to take the rock DH sections faster than I ever had with less arm pump over time. I also see the results on my body which is always a fun bonus, will definitely be continuing. The program is very well rounded with mobility, options for busy weeks, and strong video instruction/options for each move. All workouts in the gym can be done in just under an hour if going fast, or 1.5 hours if taking the proper warm up. Highly recommend. Strength factory - the proof is in my race results! I am using the monthly Complete MTB programme and it is really easy to follow with great technique videos, and options to help you fit it in with a busy life. I have found the strength training especially useful for my riding and racing and already feel better on the climbs as well as downhills which is awesome. Get on it now and I can guarantee you will see an improvement in your riding performance, whether you race or not. When you subscribe you will instantly be sent your programme and a free copy of the MTB Mobility Programme. All you have to do is hit the Subscribe button below….. I don’t have much experience in the gym. Can I still do the programme? Yes, you can as long as you take your time and pay lots of attention to using proper form for all of the exercises using the video tutorials. Is this programme suitable for men and women? Absolutely! What abilities is this suitable for? As long as you are healthy and injury free you should be able to get a lot from this programme. All training sessions are scaled for different abilities and levels of strength/fitness. Sometimes there will be options for exercises to progress or regress to suit different abilities and there is always a set and rep range to choose from. Will the Complete MTB Programme help me survive my riding holiday? No doubt! This is not just about racing. Getting fitter and stronger will mean you enjoy your weekends in Wales, your week in Morzine or your dream trip to Whistler. It is March (insert month) and I want to join now. Can I start any time of year? Yes, absolutely. You can join at any time of year. 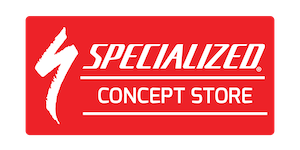 To help you get started and to build your fitness you will receive a bonus programme in the first month which we call the “Foundation Programme.” It is designed to safely get you started with your training and to teach you some key skills. I have a bad knee (insert body part). Can I still use this programme? This is down to you and your doctor or physio. We always play the long game and never train through pain. You may be able to train around an injury though, working other body parts and maintaining some strength and fitness. Is this plan suitable for racers? Yes! This will help any mountain bike racer. Whether you are getting ready for the ‘Ard Rock or a season of enduro racing, getting stronger and building a better ‘engine’ will help you to ride at your full potential. I work long hours and have a busy schedule. Will this work for me? The programme does not specify what to do when, although there is a suggested weekly planner. Some weeks work might allow you to get 2 strength sessions, some intervals and a weekend ride done. Other weeks maybe more, and some weeks it may only be some mobility and bodyweight training. Nothing is fixed. What The Complete MTB Programme does is make sure that when you do have time to train, that you will be doing the right exercises and training and not just wasting your valuable time. Am I tied into a contract or minimum term? No contract or minimum term, simply cancel the subscription through Paypal before the next payment goes out and that’s it. Is this suitable for under 18’s? This is at the parents’ discretion but the programme is suitable for healthy youth and junior athletes training under the supervision of an adult.